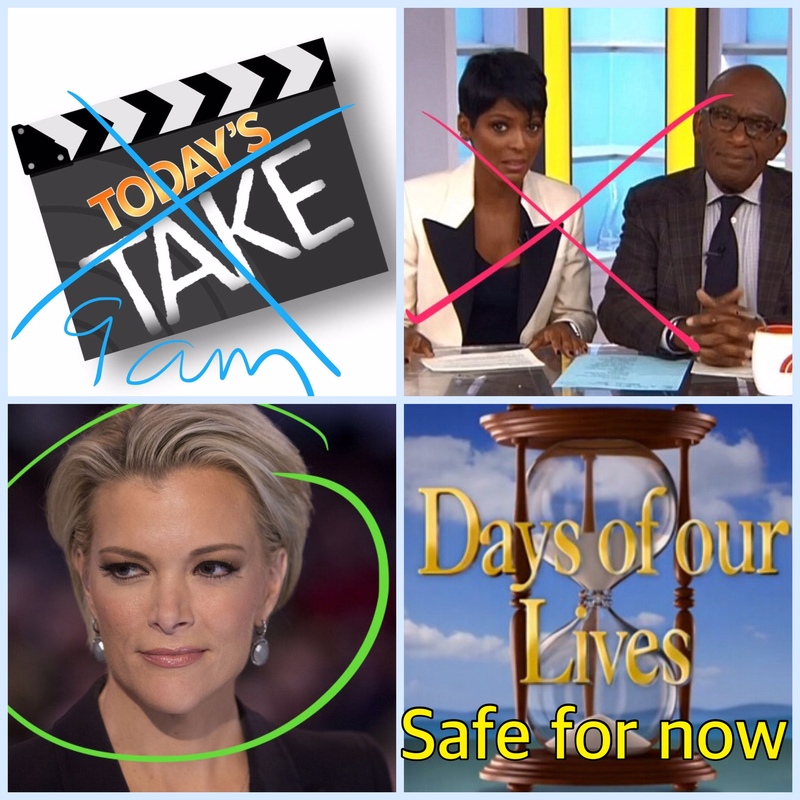 News broke today that should give fans of “Days of Our Lives” (Days) hope that the NBC sudser is safe from the upcoming arrival of Megyn Kelly’s news show. Kelly’s show, which is still in development, will occupy the time slot currently home to the hour of “Today” hosted by Tamron Hall and Al Roker, reported tvline.com. “We’re told Kelly will take over either the 9 a.m. hour from Tamron Hall and Al Roker or will replace Hoda Kotb and Kathie Lee Gifford,” tvline.com quoted Page Six as saying, according to an unnamed insider. “Everybody assumed that she would kill that show,” he said. “And that’s a bad assumption. It’s still too early to know where she’s going to be in daytime. And we have a lot of news hours in daytime, so there’s some flexibility,” said NBC Entertainment Chairman Robert Greenblatt. Soap Cities doesn’t want to count our chickens before they hatch or jinx anything. But we’ve written of why Days is safe in spite of the soon-to-be Kelly-helmed news hour. Check back with Soap Cities for more on preemptive actions fans can take to make doubly sure that NBC knows how many people adore Days and want it around for a long time to come. For now, let us take heart in this good news for our Salem family. Let’s also wish Hall and Roker the best in the future endeavors we’re sure they’ll have they’re pick of. I would rather lose one hour of the Today show (can’t stand matt lauer) or Hoda & Kathie Lee’s hour.